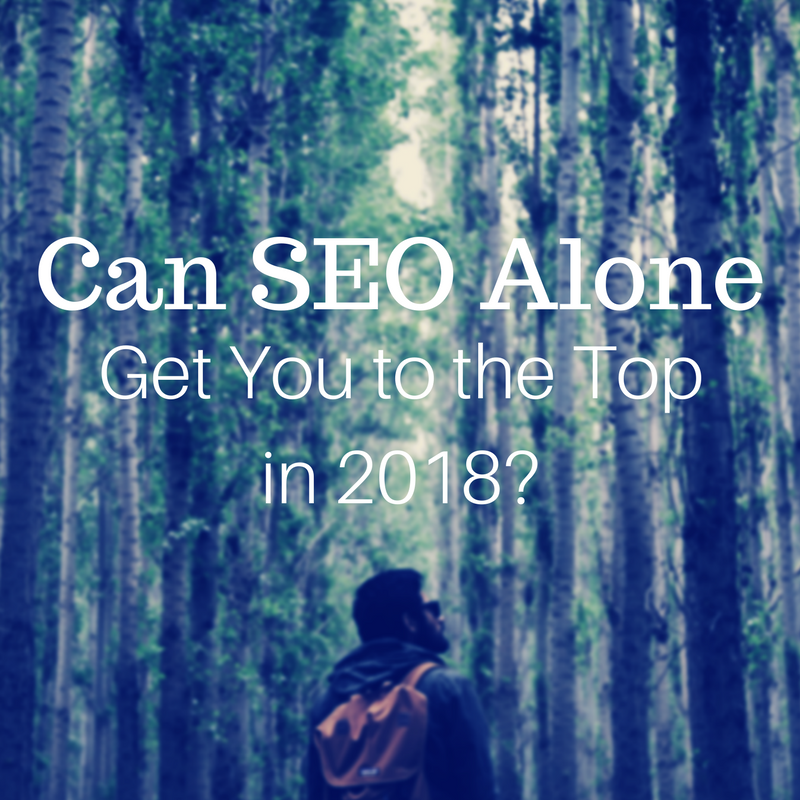 Can SEO hacks get you to the top of search engine results pages (SERPs) in 2018? The quick answer is no. But first, let's go back in time. There was a time when search engine optimization (SEO) meant writing massive quantities of eerily similar articles, stuffed awkwardly with keywords and links, in a desperate attempt for your website to outrank others on search results. I know, because when I was getting started as a freelancer, I used to write these articles. Content marketers in these dark ages were just trying to be competitive. They were working with the realities of primitive search engine technology. They were doing what it took to stand out and beat the system. At the time, there was a company called Demand Media Studios that hired writers and paid them pennies to crank out "SEO content" for sites like eHow and Motley Fool. I wrote for DMS for about a year. I owe DMS a few things: one, they paid me to write at a time in my early career when I was too green to land legitimate online gigs, and too young to know how to pitch traditional media. DMS paid my bills, fresh out of college. DMS disciplined me into writing every day, even when I wasn't exactly excited about it. I write about my experience with DMS at length in this Mediabistro piece, if you're curious. Thankfully, DMS has since changed its game -- but (likely) not of its own volition. What really happened was Google leveled the playing field by figuring out how to sort the good content from the keyword-bloated nonsense. What is SEO in 2018, Exactly? SEO doesn't mean outranking other sites based on knowing some single secret to search success. There is no "get rich quick" scheme when it comes to Google rankings. What has happened is that Google has developed the ability for their search engine to recognize both what is helpful and what is popular. The articles that are most helpful and most popular will make their way to the top of search results. In short, Google may be a "robot" of sorts, but it doesn't serve robots -- it serves people. Great content, therefore, should serve people first. The nature of internet search is always changing. With recent tactics like the schema markup code impacting search results, you can never count on any particular strategy to be the be-all, end-all for ranking at the top in search results. Content marketing is a fluid art and science. However, a perusal of Google's vision statement and "Ten Things We Know to Be True" list indicates that Google cares deeply about users, and strives to deliver the best possible content to people. They also believe in doing one thing excellently, which is search. It would seem that the only path for Google and other search engines going forward is to continue rewarding those who invest in quality content, and push those with less helpful or less interesting writing down the list. If you are a business or individual hoping to grow your online presence through content, the truth is this: SEO matters, but SEO isn't what it used to be. Today's SEO is optimizing content for humans first. Yes, you can (and should) use keyword data to inform the types of content you create for your target audience. But you shouldn't write to meet a keyword quota. Your content is only as original, engaging, vibrant, or knowledgeable as the people who create it. SEO as you may know it (technical optimizations) won't bump your site up to the first page or coveted position-zero on SERPs unless it's paired with really awesome writing and multimedia. The fastest path to overnight SERP success is to combine a good dose of SEO best practices along with a heaping amount of fantastic content. If you want to learn more about an effective method for getting more leads with your web content and rising in Google's ranks, contact Amanda at Tigris using the scheduler in the footer.